Today there is good news and not-so-good news about Margaret. The good news is that she is making a beeline for the nesting beaches of Trinidad. Check out this map. She left coastal Barbados three days ago, and look at how close she is to Trinidad already! The nesting season has already started there, although peak season is still about two months away. In the Atlantic, mature female leatherback turtles do not nest every year. They nest every two or three years. During their nesting years, they will generally lay around eight nests, about 10 days apart. 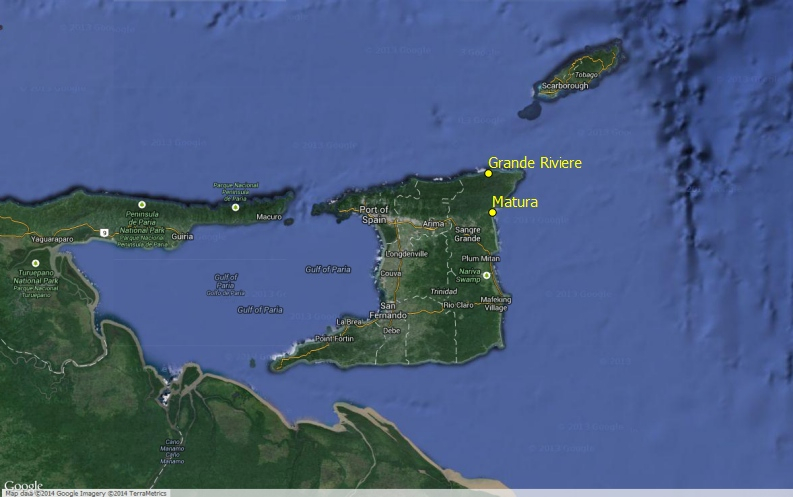 In 2011, Margaret was recorded nesting both at Matura and Grande Riviere beaches in Trinidad. We’ve contacted our colleagues who work on those beaches, and we will continue to keep them posted about Margaret’s location. We hope that they will find her when she nests and remove her valuable transmitter so we can deploy it on another leatherback in Canada. The not-so-good news is that the quality of the locations we’ve received from Margaret’s transmitter over the past few days has not been good. I yelled “No!” out loud this morning when Devan, our turtle technician, told me that the last series of locations were “B” class. B-class locations are the poorest quality, and generally indicate that only two tag transmissions were received by the satellite to calculate the turtle’s position. 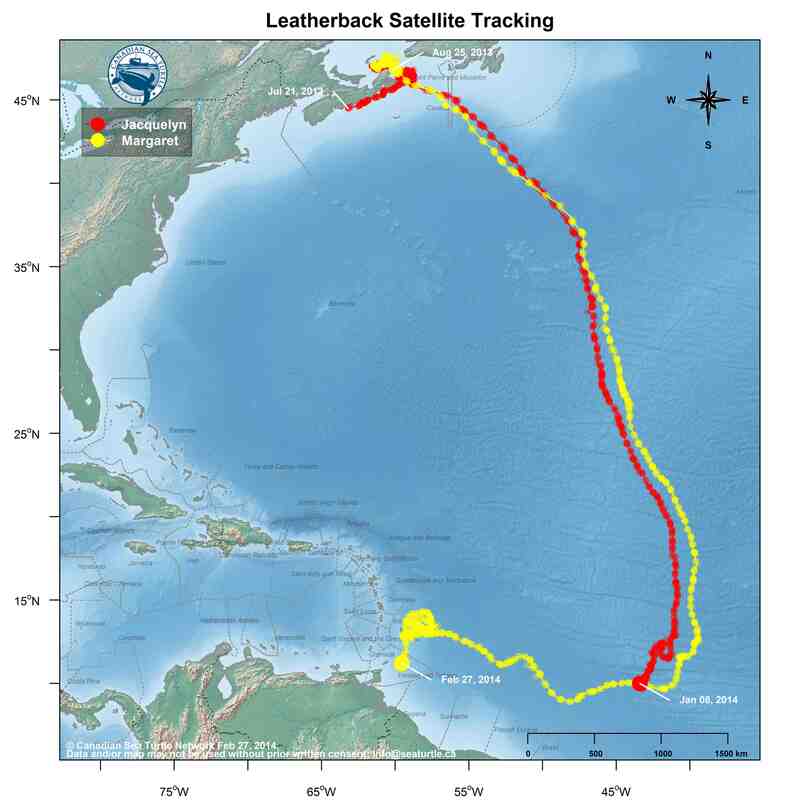 The more transmissions the satellite receives, the better its estimate of the turtle’s location. 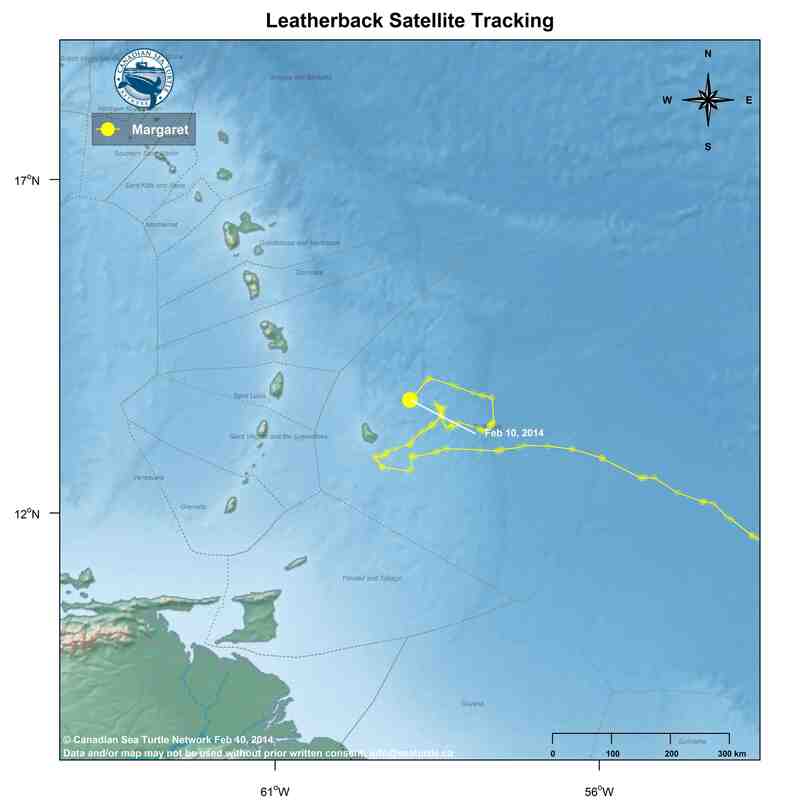 A long series of B location estimates—especially over several days—can mean the turtle is spending very little time at the surface of the water. It can also mean that the tag is running low on battery power or has started to “biofoul.” Biofouling is when organisms like algae and barnacles colonize on the tag. This can negatively impact the tag’s performance. This may mean that we will lose transmissions from Margaret’s transmitter altogether—even before she makes it to the nesting beach. (You may remember this is what happened with Jacquelyn.) It doesn’t mean, however, that someone won’t find Margaret on the beach anyway. Last year, dedicated beach workers in Colombia found our turtle Red Rockette after her transmitter had stopped working. It’s just a lot harder to do. 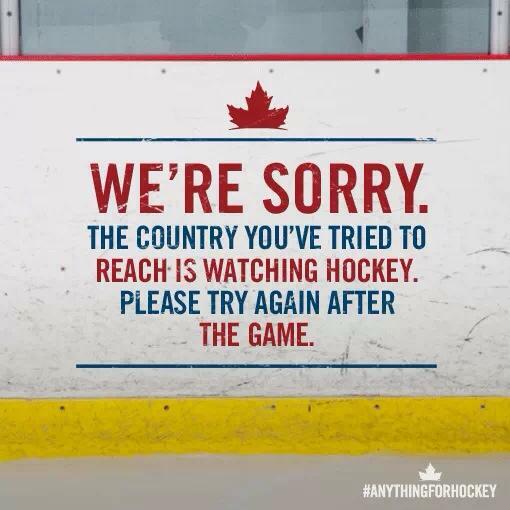 Yesterday the Canadian women’s hockey team won gold at the Olympics. Today the men’s hockey team beat the Americans in the semi-finals. The mail carrier slipped into our office in the midst of the men’s semi-final game, looking for an update. “How’re we doing?” he asked anxiously. He didn’t need to say “hello” or to identify whom he meant by “we.” He didn’t need to explain his worried look. “We’re up by one,” I assured him. He nodded and then scurried to his next delivery address, where no doubt he’d get another update as the clock ticked down in the third period of the hockey game. I love how the Olympics–at their best–build a sense of community within countries and between them. They remind me of sea turtles. Sea turtles, swimming through the political boundaries of so many different countries, will draw us together if we let them. 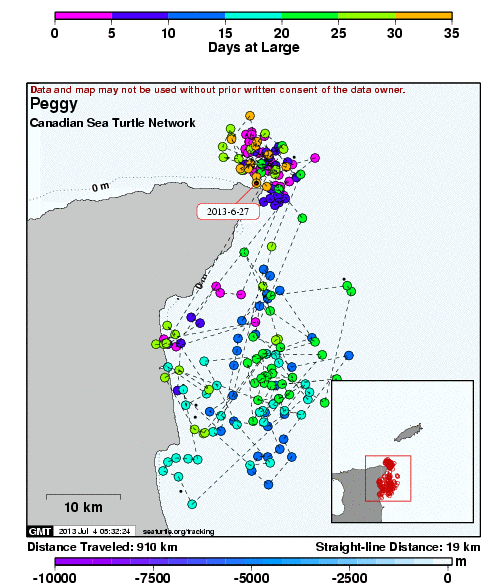 We see it in our own work, as we track our Canadian sea turtles to nesting beaches in other countries. Rarely does a day go by when my email inbox doesn’t have messages from people in other countries–today, from Colombia, the UK, and the United States. People working around the world to conserve sea turtles know that we’ll lose these species if we don’t work together. If we don’t give our work our best effort. If we don’t persist in the face of adversity. If we don’t support each other when we’re having trouble. And we know the importance of celebrating our successes–of keeping our spirits up–of cheering each other on. Margaret, as you can see, is still hanging out in waters off Barbados. It’s snowing outside the window as I type. I can’t help but be a little jealous of her! Here’s a close up of her track. 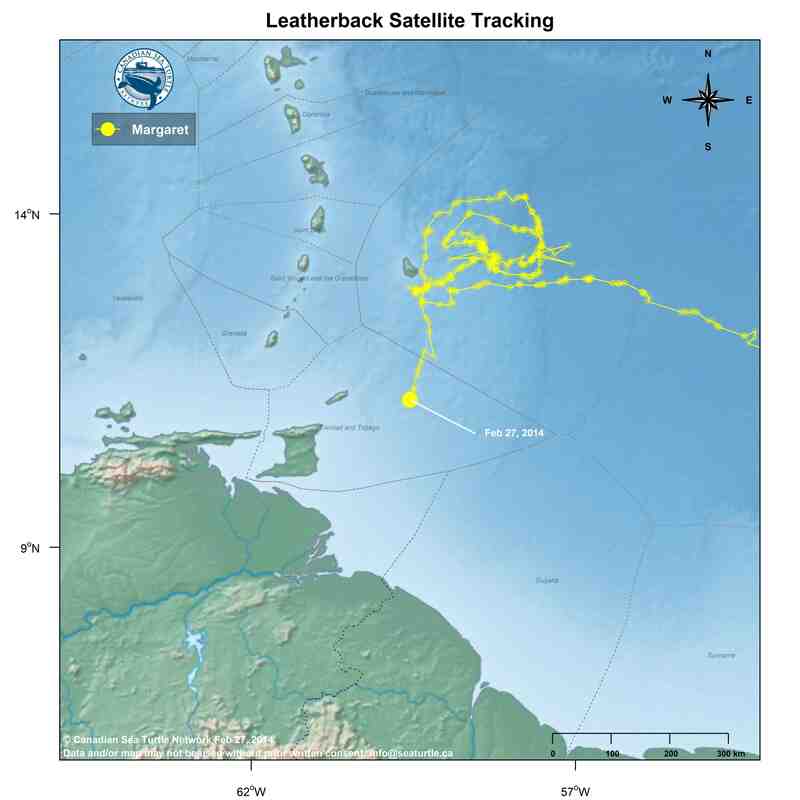 Peggy was a leatherback turtle we satellite tagged on Matura Beach in Trinidad at the end of May last year. She was a “Canadian.” When we found her on the beach, she was wearing flipper tags that showed we had worked with her in waters off Halifax in July 2009. This is a picture of Peggy heading back into the ocean after we satellite tagged her. 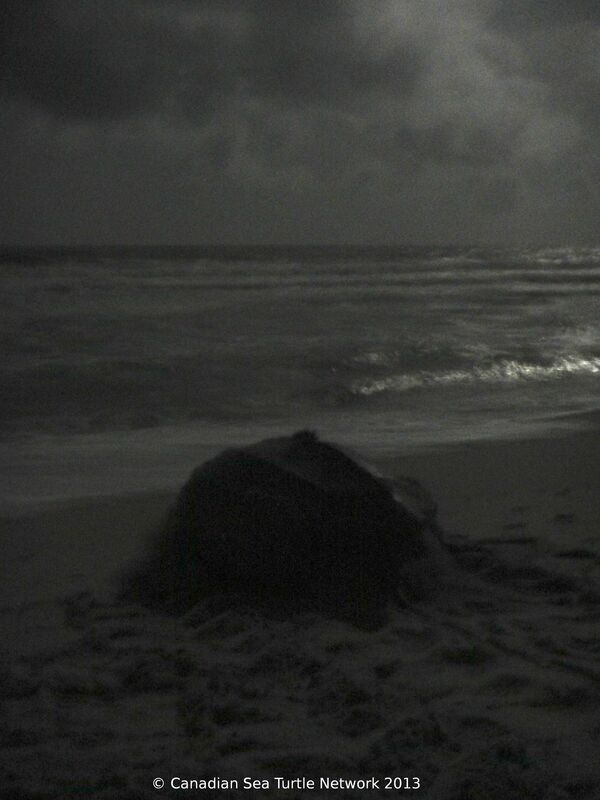 It is dark because leatherbacks nest at night. We had hoped to follow Peggy’s track as she migrated back up to Atlantic Canadian waters. As you can see, however, Peggy’s track only lasted for 35 days. She returned to Matura Beach three times to nest after she was satellite tagged. The third time, the Nature Seekers team observed her and had the chance to photograph her. She looked great, as did her tag. She left after that third nesting and headed out to an area off Galera Point to wait out “follicle development.” Her behaviour was typical of a leatherback getting ready to nest again. There is a lot of gillnet fishing in the area where we last heard from Peggy. Leatherbacks are routinely accidentally caught in this fishery. We talked to a fisherman from that area, who talked to others in his community. Although none of them reported catching a leatherback with a transmitter on her, it is still our best guess that Peggy was accidentally caught in a gillnet and died as a result.